Compounding the administration’s challenge, Republicans and Democrats both say Bush has lost credibility, particularly in cases where he argues there will be dire consequences if Congress doesn’t act. 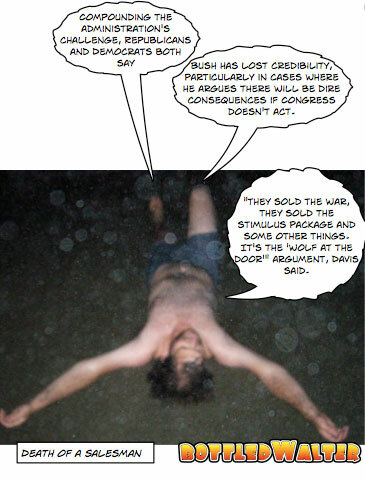 “They sold the war, they sold the stimulus package and some other things. It’s the ‘wolf at the door'” argument, Davis said.